Taking pictures of my dog and sometimes other people's dogs is no easy task. The main problem I have with taking pictures of my dog are getting her to look and smile at the camera long enough for me to snap a good picture. 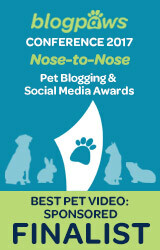 We were asked to try out a cool product that helps dog parents take better pictures of their pooches. It's called a Pooch Selfie and it's a smart phone attachment that uses a tennis ball to capture your dog's attention for photos. I think it's a brilliant idea! The Pooch Selfie is designed to fit iPhone and Galaxy, but can be used with most smartphones. I have an LG G4 and it does fit, although not perfectly. The back of my phone is curved and not flat which causes the Pooch Selfie attachment to slide off easily. Still, I think it works pretty well for us. 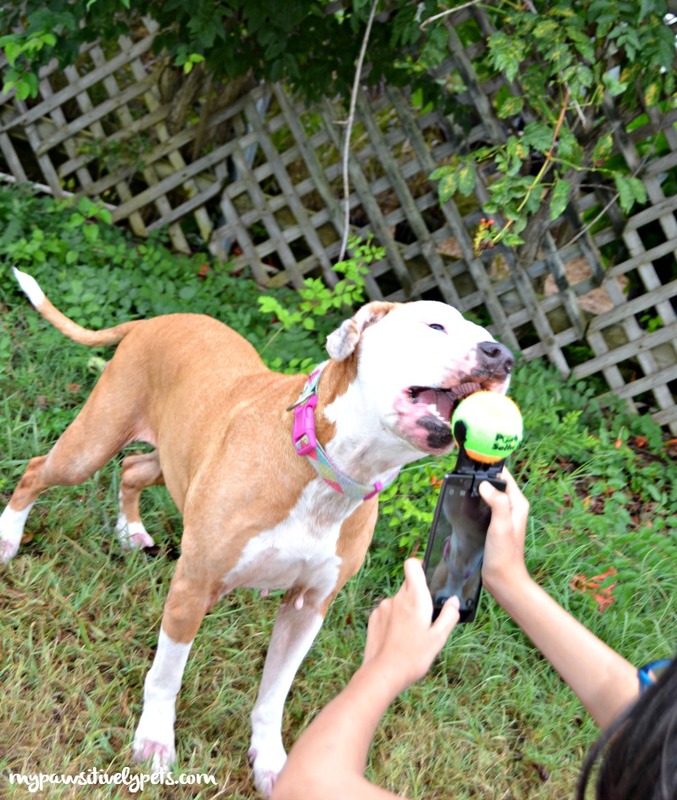 The ball that comes with the Pooch Selfie squeaks to really grab the attention of your dog. Shiner is deaf, so I don't squeeze it. But she loves tennis balls and seems interested enough in the Pooch Selfie without the squeaking. The Pooch Selfie is designed for use with both front and rear facing smartphone cameras making it easier to take selfies with your dog, or just capture their portrait solo. Pooch Selfie also gives back. They've directly partnered with charitable causes that directly benefit animals. 10% of each Pooch Selfie purchase goes towards helping animals. Arm the Animals is an apparel business that has made "giving back" their core goal. Recently, they have partnered with Pooch Selfie. 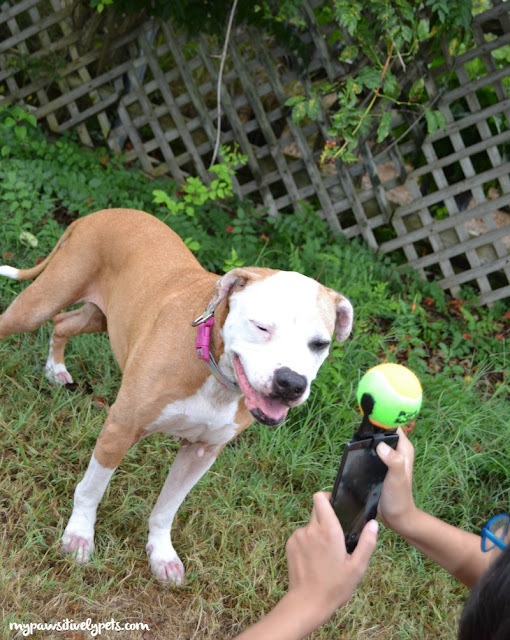 You can find Pooch Selfie available for purchase on Arm the Animals' website here. Additionally, all t-shirt designs by Arm the Animals support animals and need and spread an important message. Many of Arm the Animals' designs are cute and funny, while others relay important messages about animal welfare. Some celebrities including Jessica Alba, Jackson Galaxy, Perez Hilton, and Lena Headey have even been spotted wearing Arm the Animals shirts. No matter which design you choose, all purchases support animals in need. You can check out Arm the Animals' full attire collection at their website here. 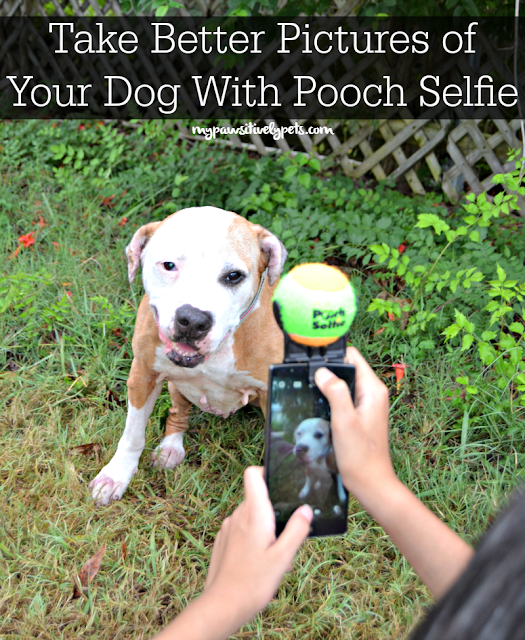 If you'd like to give Pooch Selfie a try, we are giving away 3 of them (1 Pooch Selfie per winner)! This giveaway is open to US residents only (void where prohibited by law), ages 18+. To enter, just fill out the Rafflecopter form below with as many entry options as you like. Giveaway ends on August 25th, 2016 at midnight CT. Good luck! We received a Pooch Selfie at no charge. All thoughts and opinions are our own. My photogenic doxie would like this a lot, plus he loves to play. LOL! That is funny! We could care less about a ball, but if it was a treat holder it would get our attention! Never knew Shiner was deaf. She is mostly deaf. She may be able to hear a little bit, for the most part she does not. This looks like a cute idea! Now that's a nifty tool to have! 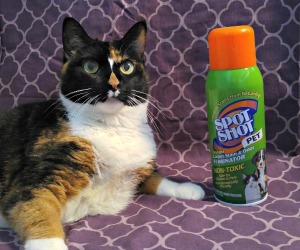 We bet this would work with cats too. I would love to try this with my dog. She will never let me take selfies of her so I think the ball would help me get her attention. It will also help when I try to take regular pictures of her and she won't pay attention to the camera and will constantly look the other way. 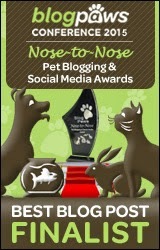 I love to win this so I could finally get good pics of my babies! They don't like having their pic taken for some reason. this would be great b/c my girls always need to something to look at to get them all looking in the same direction. i did not know Shiner was deaf, so is my oldest now, except she can hear loud claps, me stopping, or yelling her name. old age, she is almost 15, ikn a few wks. she is almost blind as well. she also has a little dementia. bad when i leave for a few hours, because she poops and pees everywhere and it takes me hours, i mean hours to clean her and the house. not her fault because she was always the best girl, never went potty in the house since she was abt 8 wks old. the camera attachement would be wonderful for my 2 younger girls, because they get distracted easily. whenever i try to sneak up on them to take cute pictures, they move, so this would hold their attention. I love taking pictures of Ruby, though her attention can be hard to grab. She loves balls so this is perfect. I could probably add some feathers to the ball to get my cats to pay attention. Would love to try- I take tons of pictures of my dogs! Artie is ball crazy so this would get and hold his attention while photos are taken. Seriously! I have never ever thought about this product until I chanced upon this website. It is really difficult to take a picture with my dog, and perhaps this product will help me to get her attention!